Cool Cruisers Car Club - classic cars & muscle cars. Not-for-profit fund-raising events held from March to October. Events open to all cars 1990 and older, and/or special interest. 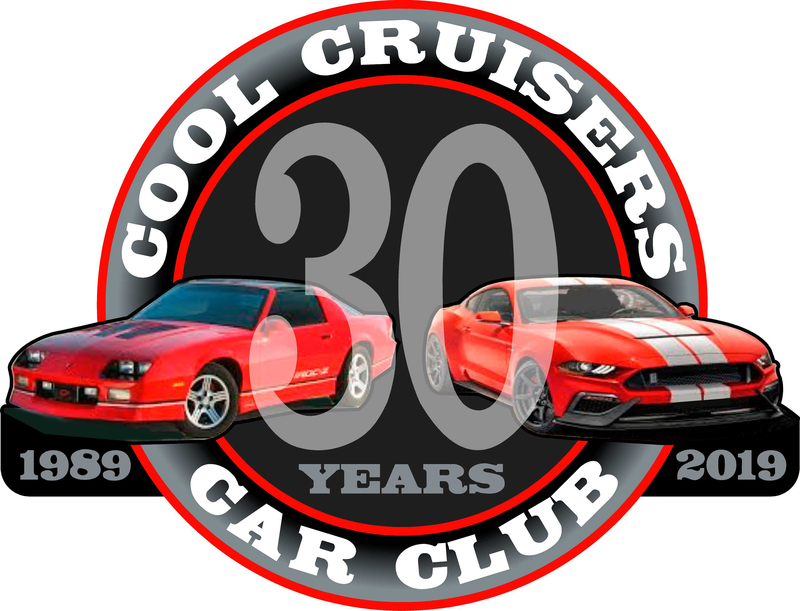 To celebrate the club's 30th Anniversary there will be a $30.00 drawing at each of the 2019 Cruise-Ins. To be eligible to win your vehicle will need to be registered at each Cruise-In. The drawing will be at the end of each Cruise-In and you need to be present to win. Good Luck! Welcome back to the times when cars were fast and music was fun to listen to. From the Model A to the Viper, we have them all. With cruise-ins scheduled from the Spring to Fall, finding an opportunity to attend one is easy. Based in Springfield, ILL., we are fun for the entire family. Come listen to your favorite oldies of the past. Slick back your hair, put on your poodle skirt and bobby socks and have some fun with the Cool Cruisers - It's a gas man. Browse the event calendar for the next local cruise, bring your car, and have some fun! Don't have a car come anyway everybody's welcome, and reminisce about the days of fast cars and cool music. Just do it you all come now. To print a copy of the Cool Cruisers Cruise 2019 Event Schedule Click Here! Click here to get flyer. Turn on your speakers to enjoy your cruise through this site! Newly elected Board Members will start their position at the December meeting. Board members no longer holding office will be removed from this site after the December board meeting. Contact any Executive Officer or Board Member with any suggestions for the Cool Cruisers Car Club. This is your club and your voice will be heard. You can email Executive Officers & Board Members by clicking on their name. have made this a very nice website.